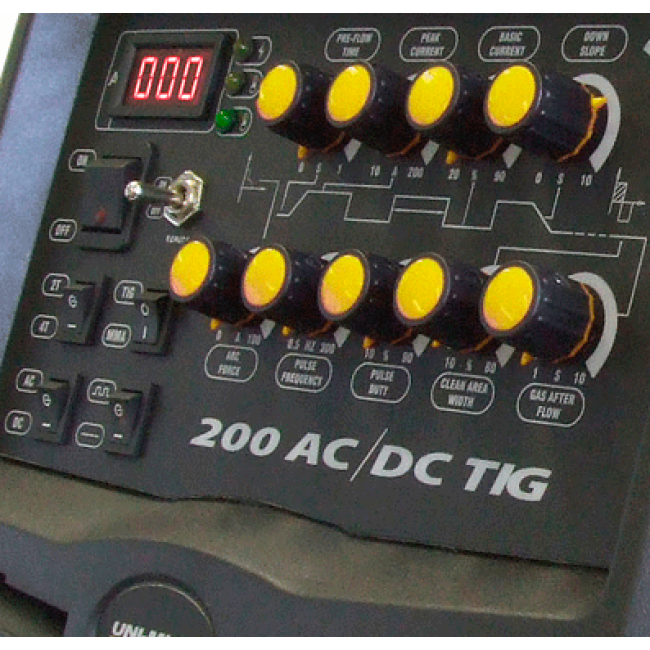 Digital TIG AC/DC for single phase 230V ac applications. 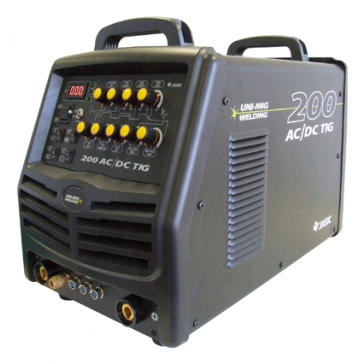 The Uni-Tig AC/DC 200 has long been a favourite in the UniMig stable of products. 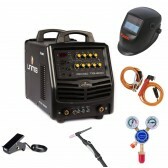 Packed with features, the machine is ultra competitively priced when compared to other premium welding brand equivalents. 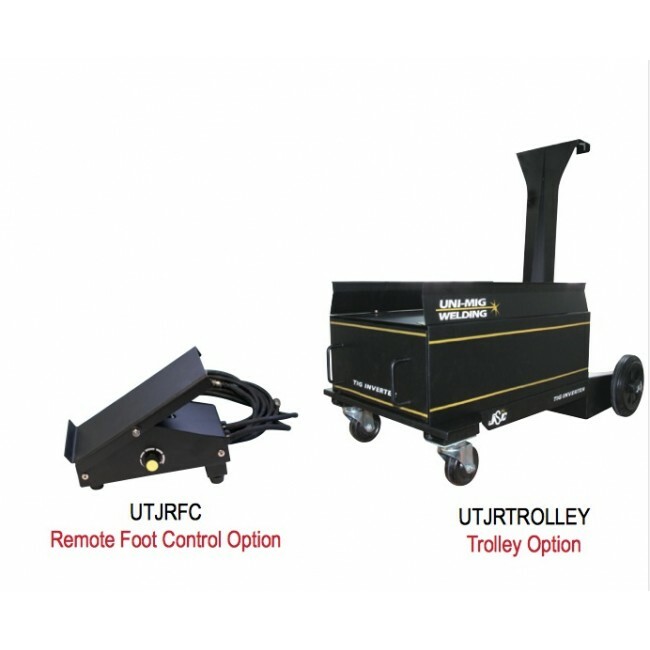 As the name suggests, the machine offers both Alternating (AC) and Direct Current (DC), meaning it is capable of welding all major metals - steel, stainless steel, copper, cast iron and aluminium. 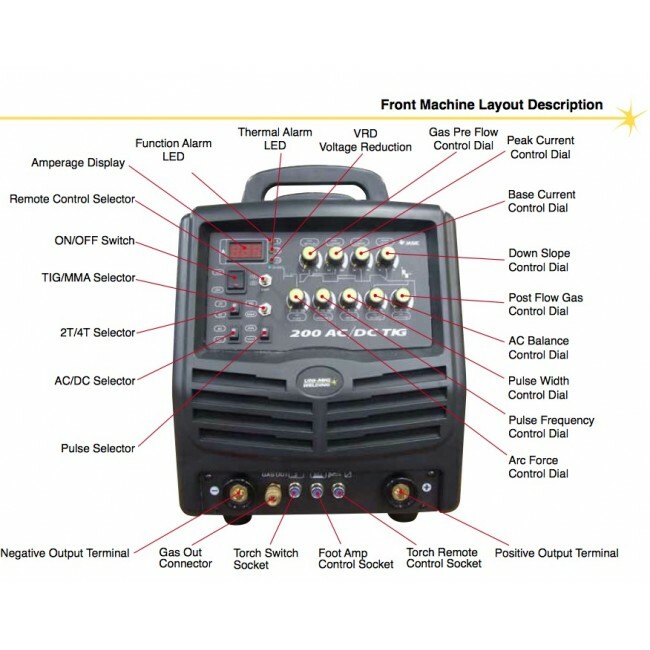 The machine offers High Frequency (HF), down slope, post gas, pre gas and variable pulse parameters making it ideal for a wide range of functions, including thin metal when precision is a must. 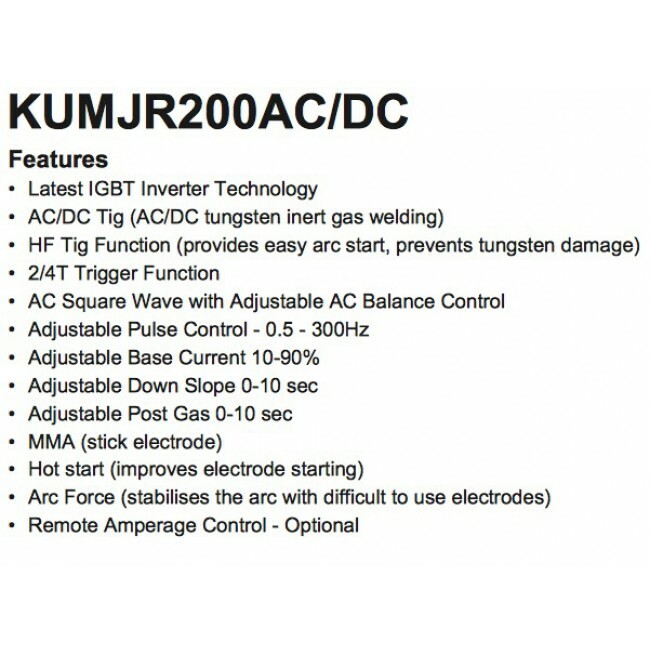 trigger control. 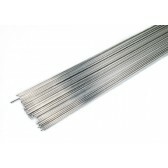 The HF arc start provides easy arc ignition leaving no tungsten inclusion and no contamination of the tungsten electrode. 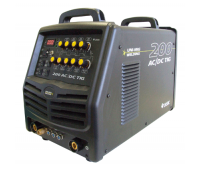 The machine also offers AC Balance Controls allowing you to set AC TIG for cleaning the aluminium oxide layer on aluminium and adjustment for a deeper weld. 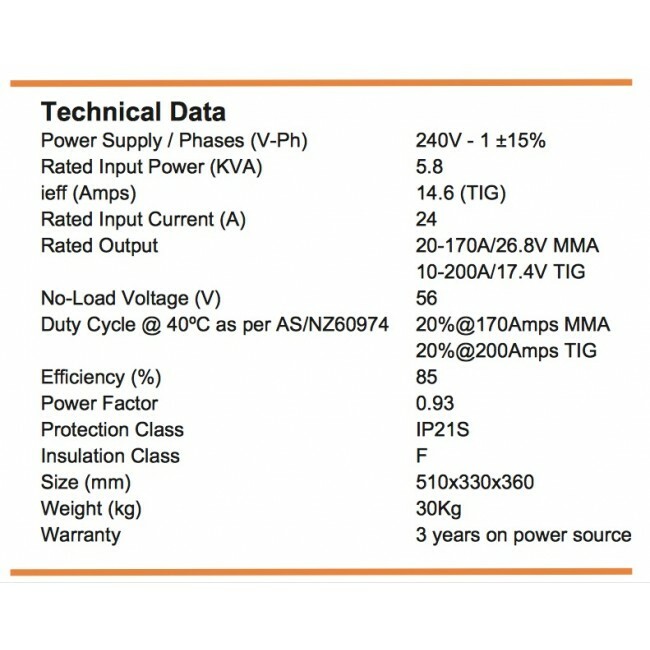 Pulse Function of Frequency and Base Current further enhance weld quality by allowing better heat penetration into the work and controlling distortion and penetration. 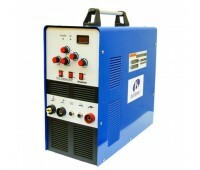 The machine is also capable of DC Stick (MMA) welding and comes with an Arc Lead set. 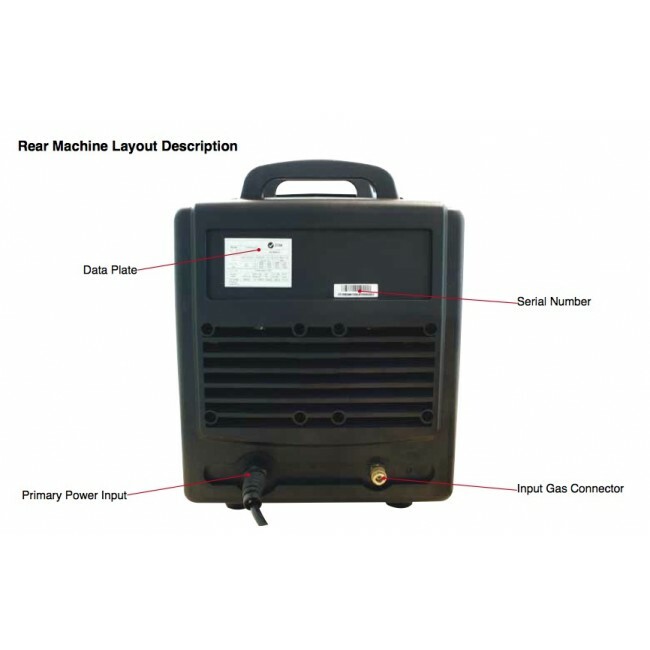 The machine also comes with a High Function SR26 TIG Torch, featuring 2T/4T Trigger control and there is an optional foot controller. 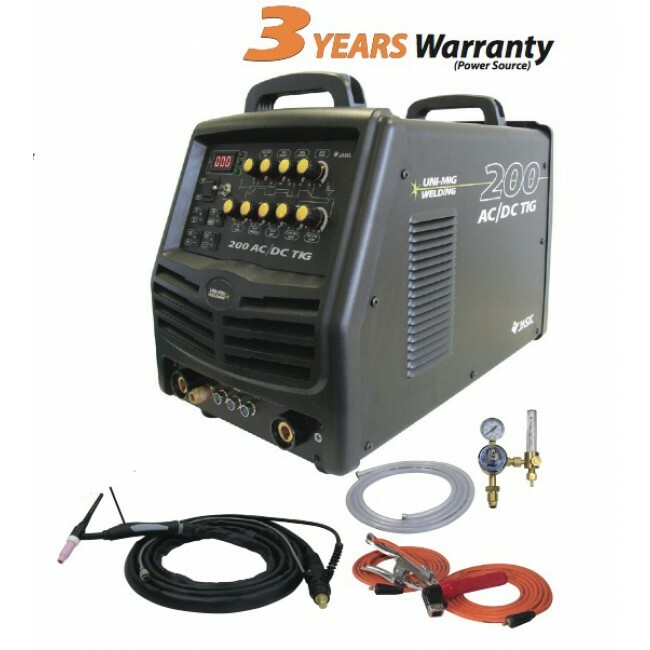 The UNITIG 200 is a first choice professional level welder for people in a range of industries including AC/DC and is backed by an impressive 3 Year warranty, with a bonus 6 months Warranty if you register it online with UniMIg.